Many of you probably already know about this but for the rest, here's a quick tip that you might find useful. Quick tip: If you use Chrome or Chromium browsers and hardware acceleration is disabled for your graphics card, you can try to force it to get better video playback performance (for instance on YouTube) as well as support for features such as the 3D Earth view in the new Google Maps. 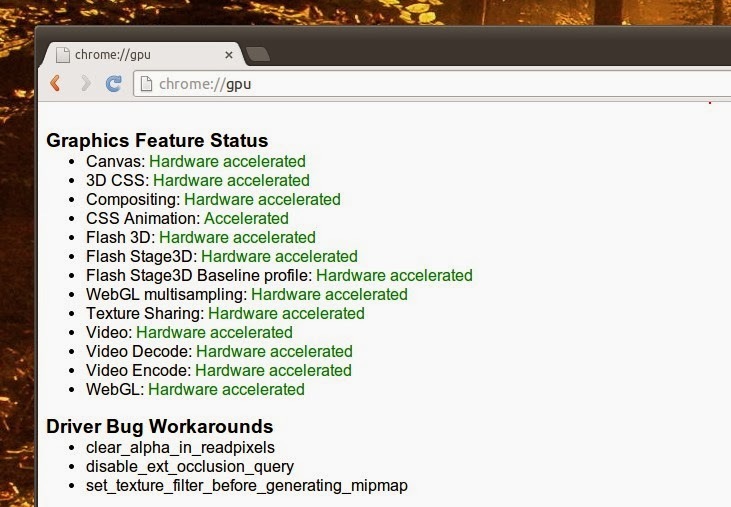 To check if your Chrome / Chromium browser uses hardware acceleration, open a new tab, type: "chrome://gpu" (without the quotes) and look under "Graphics Feature status" - all (or at least most of) the features should say "hardware accelerated". 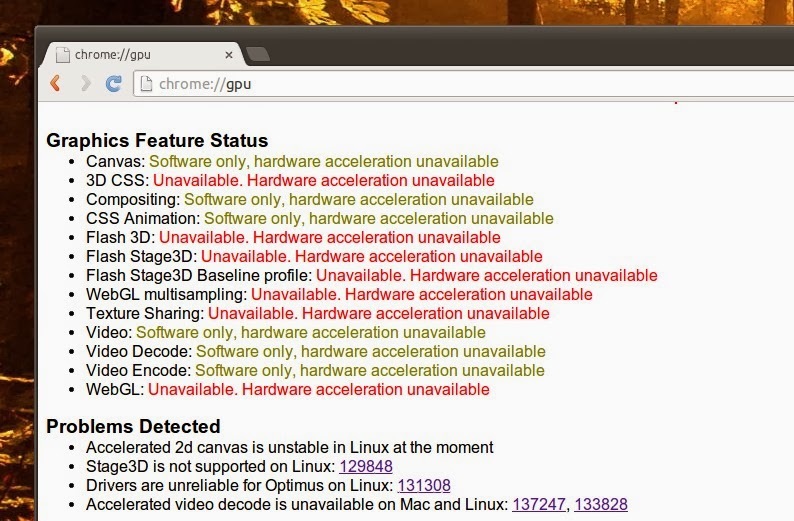 try a Chrome experiment, with and without hardware acceleration. For me, THIS experiment didn't work in Chrome (it said "Please wait while I load the model..." but the model didn't load) until I forced hardware acceleration. If you experience issues after this change, simply revert it: open "chrome://flags" (without quotes) in Chrome and disable it. Update: changing the 'Override software rendering list' does not have any effect in Chrome / Chromium for some time. To enable hardware acceleration in Chromium (GPU accelerated video decoding) you'll need to use Chromium with a VAAPI patch.